Michael Conlan has opened up on “one of the best weekends of my life” after receiving staggering support at Belfast’s SSE Arena on Saturday night. The unbeaten former world amateur champion returned to his home city to take on former world title challenger Adeilson Dos Santos and the welcome he received – his ring walk soundtracked by Irish folk song ‘Grace’ – was quite unique. Conlan (8-0-KO5) went on to put on a clinical display against his Brazilian visitor and, with the dust settled, has looked back on a fantastic overall experience. Conlan said: “It’s right up there with the best weekends of my life. That atmosphere and ring walk is something I expected to a degree but I didn’t expect the reaction to the music to go like that. “It really blew me away. I haven’t watched the fight back much at all but I’ve watched the entrance dozens of times! “I knew how big that song ‘Grace’ is in Ireland. I used it because it’s a song that’s close to my heart and I knew the crowd would sing along but I didn’t know how many and how loudly. “What many people don’t know is that I’ve used that song when I’ve fought on St Patrick’s Day. I used it in Chicago and other places. “In Madison Square Garden, it’s so compact and loud that ‘Grace’ was often drowned out. In The SSE, it came across perfectly. It felt like I made it a bit my own and it could be a regular thing for me. “Because I lived away from home in American, it means a lot. I wasn’t hugely into traditional Irish music until I moved away. Once I moved, it resonated with me so much more. “To listen to songs of home while I was missing home meant I fell in love with them. I know how it feels to be away and those songs always bring me back. It’s why I love them. 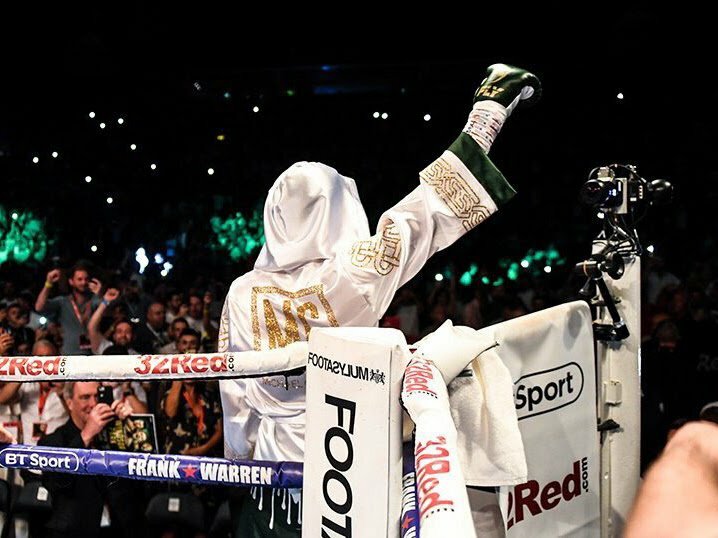 WATCH Conlan’s astounding ring walk here.